Hemp meal/flour comes from ground up hemp seeds. When you hear the word hemp, marijuana may quickly come to your mind. Although hemp seeds are the seeds from the hemp plant, you don't have to worry about getting high and see talking animals. The amount of THC is in trace amounts, if any. You can compare it to consuming poppy seeds. 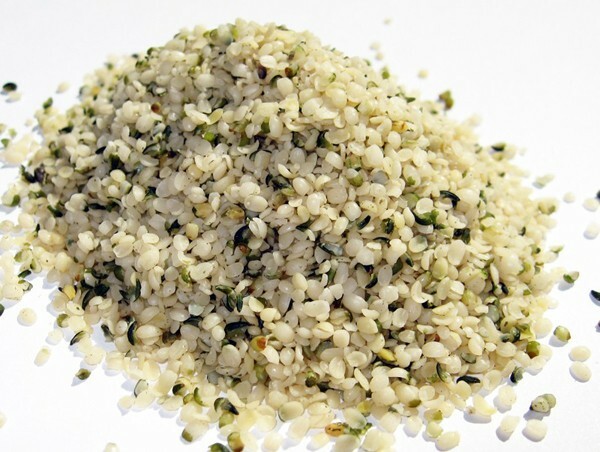 Hemp seeds have a rich, nutty flavor. Place the warm water and teaspoon of sugar into a small bowl (a 4-cup liquid measure works well). Make sure the water is the right temperature. If the water is too cold the yeast will not become active and if the water is too hot it will kill the yeast. Add the yeast and stir. Proof the yeast by allowing it to stand for 5 to 10 minutes. It should become foamy and/or bubbly, if not start over with fresh yeast and water. Add the oil, honey, and apple cider vinegar. Stir well with a fork or wire whisk. In a large bowl, add the brown rice flour, teff flour, hemp flour, potato starch or tapioca flour, arrowroot powder, xanthan gum, sea salt, and baking soda. Combine the flours with a wire whisk. Pour the wet ingredients into the dry and whisk them together as you are pouring to avoid lumps. Continue to stir with a large spoon for another 60 seconds or so, or until the batter thickens and becomes smooth. Oil a 9 x 5-inch bread pan. Spoon dough into prepared pan. Use the back of a spoon to shape into a loaf form. Place pan in a very warm spot. Let rise for about 45 to 60 minutes. Preheat the oven to 350 degrees. Bake for about 60 minutes. Allow bread to cool for 10 minutes in the pan and then remove and place onto a wire rack to cool. Tip: to get a crustier loaf, turn up your oven to 425 degrees for the last 10 minutes of baking.